What is a father? I did a quick search on the internet to see how “father” was defined and found “a man in relation to his natural child or children.” I think I’m among great company when I say “it takes much more than being a man in relation to his natural child or children to be a father”. 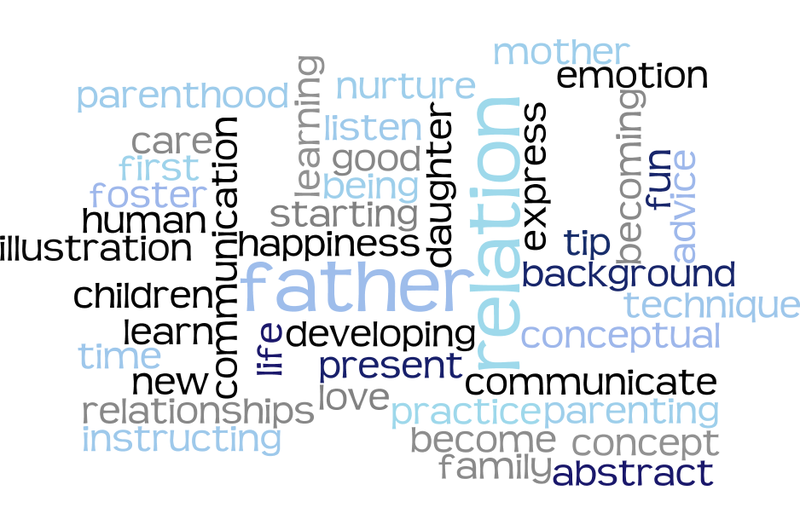 I’ve asked around to see what being a father means. To some, a father is a type of superhero because of their “special powers” and the protection they provide. To others, fathers are also known to simply instill determination, courage, and integrity into the lives of their children. I posed another question, “what do you admire most about your father?” I thought I would receive similar adjectives than before, but had a heartfelt reaction when I heard one very simple, yet powerful statement “you didn’t give up on me”. There seems to be a divide in our society where some experience essential teachings and see the sacrifice and there are others who only imagine a dream world of having a father in their life. It is clear fatherhood isn’t defined by one simple action. That’s great news! It means you don’t have to let one action define “your” success of being a “father”! When it boils down to it, something is going to impact the lives of children. In my opinion, having someone present in their lives teaching them how to be the best person they can be… well, that is worthy of a celebration and a “Happy Father’s Day”. Take the time to thank someone in your life that has made a difference, in a “fatherly” way. It is officially spring and as we look for the familiar colors of yellows, pinks, reds and greens, my mind can’t help but think of other colors. These colors aren’t prevalent during any particular season. They can be seen on any day of the year – no matter where you are in our world. These colors do not bring smiles or joy to hearts looking for something warm after cold winters. These colors do not adorn new outfits worn to church or school or community picnics. These colors aren’t the desired focal points for pictures taken at family gatherings to celebrate the time spent in laughter and love. These colors are black, blue, purple, red – bruises, welts scars – different colors at different stages of healing, disappearing from the surface but only to go deeper into the soul. As April is National Child Abuse Awareness Month, NSPN joins our other local, state and national partners in calling attention to the ongoing need for all of us to protect children and to work toward addressing the short and long-term consequences of child abuse. Each of you taking the time to read these words already know the reality. While the majority of instances of abuse go unreported and unrecognized, we know that this hidden epidemic is ever-present in our communities. Reviewing news reports and statistics will confirm that children still die – every minute – from abuse and neglect. Whether the mechanism for the abuse is a belt, a hot car, a bathtub or the back of a hand, each tool is used to a frightening degree of proficiency until it is not – and the child dies. In other cases, the children quietly carry the marks and the memories. Imaginative stories of falling while playing X-Men or attempting to bake a cake are superficially acceptable until the observant care giver realizes the bruises and burns aren’t in the right places to match the story or have happened before. Those of us working in the youth and family services field are mandatory reporters. These may be the two most important words in our profession. If we expect abuse or neglect, we must report it. Not because we are certain, but because we can’t risk waiting for evidence to be certain. As soon as we suspect an instance of abuse, we report so that the trained interviewers and legal experts can address the safety needs of the child. What about parent rights? Yes, those are critical. And, these rights come with additional responsibilities. Parents have the responsibility to address concerns when they are voiced via appropriate mechanisms and with good intention. They also have the right to file charges and grievances should these mechanisms and reports be misused by anyone with a self-serving agenda. Dealing with abuse almost feels like examining an eclipse. When abuse occurs the bright sunlight is briefly covered by the moon. If you stare straight at it, the effect is disconcerting and can sometimes be harmful. When you look away, you miss it and it passes so quickly that you may not even believe it happened. For the child, they will us to recognize their situations – even when they can’t put words to what is happening to them. They ask us to check on them – to ask what has happened to them – to be ever curious and involved. Every now and then, you look into eyes that say – see my pain and my confusion and my love. Help me do better or be better so that this doesn’t happen to me. Help my mom, or my dad or my uncle or my neighbor. Help my brother or my pastor or my aunt or cousin. Help the person who hurts me so that I can love them and feel safe in my world. National Safe Place Network envisions a world in which all youth are safe. This means safe at all times in every place – not just those designated by a sign. Join us in this recognition of the impact abuse has on our children and communities and then pledge to do something specific this month to raise awareness. Together, We Can make a difference. Our children are waiting.